John Stuart Mill. by Thomas Woolner. 1878. Bronze on stone base with decorative relief. Temple Gardens, Victoria Embankment, London. 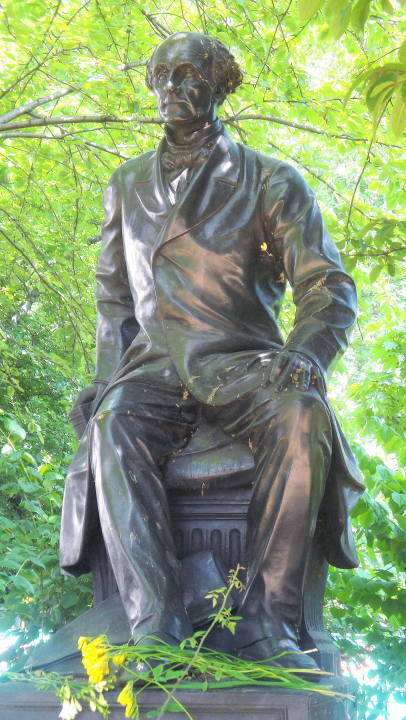 Mill looks as tense and wiry in Woolner's sculpture as he was said to have been in life (see "John Stuart Mill as a Speaker in Parliament — A Contemporary View"), leaning forward with one hand on his knee, the other resting on his book (surely On Liberty). 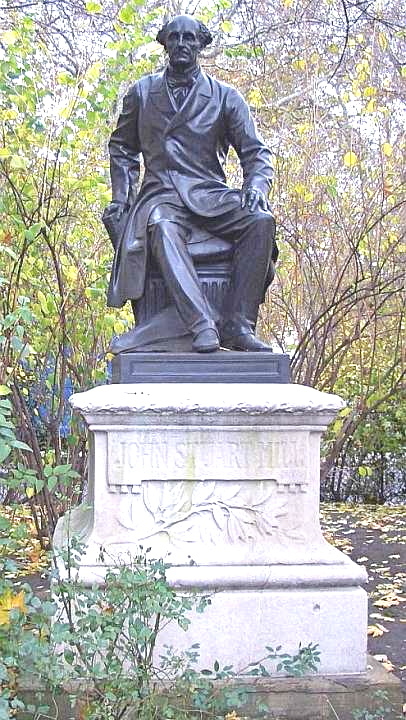 This statue was probably the third of the public monuments to appear on the newly-opened Thames Embankment, following Matthew Noble's sculpture of Sir James Outram in 1871 and Baron Marochetti's of Brunel in 1877 (Read 355). Read, Benedict. Victorian Sculpture. New Haven and London: Yale University Press, 1982.